Accomplished pianist and educator Dr. Alex McDonald served at the Guest Festival Director for the 2016 Basically Beethoven Festival. He programmed the concerts, finding the right mix of performers and pieces to offer to our audiences this summer, and performed at the July 17 “Menagerie” concert. You may have heard him speak at the concert or met him in the lobby, but here’s an opportunity to get to know him better with our Q&A series. What piece were you most excited to hear performed during the 2016 Basically Beethoven Festival, and why? Well, to be totally honest, I was really curious how the Stravinsky would turn out. [Dr. McDonald arranged Firebird Suite for three pianos, performed at the July 17 concert.] It was a fun experience having such world-class pianists join me on the stage and commit so wholeheartedly to the project. I’m extremely excited to hear the Schubert cello quintet this weekend. It is one of the master’s very last compositions, and many consider it to be his greatest chamber piece. The second theme of the first movement is absolutely out of this world, and I can’t wait to hear it in Dallas City Performance Hall, which is acoustically an absolute gem. What do you love about chamber music? How is it different from playing in a symphony? From playing solo? Chamber music is wonderful in that you can communicate with each musician. With concertos (which I love! ), I find I communicate mainly with the conductor, and when I play solo, I end up just talking to myself, which I do anyways! I love the intersection of different musicians’ musical personalities, as well as the unique timbres of the instruments. How old were you when you started playing piano? Why did you choose piano? I was almost 5! My mom chose it for me. She is a piano teacher, and I would build train tracks under the piano as a toddler. Or so I am told (I don’t really remember). Am I seeing things, or do you use an iPad instead of sheet music? Why the change? I do use an iPad! I love that I can keep tons of scores on it, and I also like the Bluetooth page turner pedal that I can take with me and practice with. I’ve had some pretty funny and regrettable page-turning experiences (once my page-turner’s necktie was casually hanging out on the lower keys, and I was wondering how to navigate around it). What types of music do you like to share with your son? Well!! As of today, my son is 2 months and 9 days! He’s pretty non-discriminating at this point, although I did notice that he was decidedly happier when I practiced Schubert than Rimsky-Korsakov. I guess I’m proud of him for that! He is also rather fond of “the diaper song,” which naturally accompanies one of the less glorious parts of parenting. Who’s your favorite composer to listen to? To play? That’s a hard question! I really have always loved Liszt, but I think Rachmaninoff would have to be a strong favorite—after it’s comfortably in my fingers, of course! I really love listening to and playing Bach. What’s your favorite sound (musical or non-musical)? Least favorite? I like the sound of a full symphony orchestra, in all its various combinations. My least favorite – I guess I’m not too fond of sprechstimme. Once you leave this world and reach the pearly gates, what celestial concert are you looking forward to? John Cage’s 4’33”?? (Just kidding.) I think I would most want to hear Bach’s Et resurrexit, or maybe the slow movement to Rachmaninoff concerto no. 2. 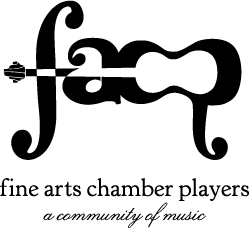 On July 31, Fine Arts Chamber Players presents its final, FREE concert of the 36th annual Basically Beethoven Festival. Titled “Nocturnal Scenes,” the performance will feature Dallas Symphony Orchestra members Shu Lee and Kaori Yoshida, violin; Valerie Dimond, viola; and Nan Zhang, cello; with cellist Shuyi Wang from the National Ballet of China Symphony Orchestra. The artists will perform Eine Kleine Nachtmusik “Serenade” No.13 for strings in G, K.525 by Wolfgang Amadeus Mozart and Franz Schubert’s Cello quintet in C Major, op.163, D.956. The afternoon begins with a Rising Star Recital featuring Jason Zhu, first prize winner of the 2015 MTNA Junior Piano Performance National Competition, and Jason Lin, winner of the prestigious 2015 Lynn Harrell Concerto competition. The program includes Claude Debussy’s L’isle joyeuse and Carl Vine’s Sonata No.1 mvt. 1. Together, they will play Franz Schubert’s March Militaire and Johannes Brahms’ Hungarian Dance no. 4 for 4 hands. “Nocturnal Scenes” will be an exciting end to this year’s Festival. Concerts are held on Sunday afternoons in July at the Dallas City Performance Hall in the Dallas Arts District (2520 Flora Street, Dallas 75201). Every program begins with a Rising Star Recital at 2:30 p.m. and a Feature Performance at 3 p.m. Doors open at 2 p.m. Rising Star Recitals present local, gifted young musicians; Feature Performances showcase professional musicians from the area. All concerts are FREE TO THE PUBLIC. Paid parking is available in surface lots and garages in the Dallas Arts District. Sundays in July: July 10, 17, 24, and 31. Doors open at 2 p.m.; Rising Star Recital at 2:30 p.m.; Feature Performance at 3 p.m.
Dallas City Performance Hall: 2520 Flora Street, Dallas 75201. Final concert of the Basically Beethoven Festival 2016. Rising Star Recital: Jason Zhu and Jason Lin perform solo work by Vine and Debussy, and piano duos by Schubert and Brahms. Feature Performance: A string quintet featuring performers from Dallas Symphony Orchestra and the National Ballet of China Symphony Orchestra paint scenes of the night with Mozart and Schubert. 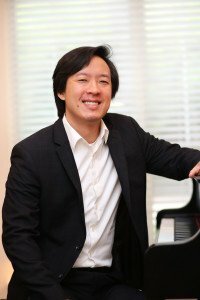 Soloist, accompanist, ensemble member, arts administrator and all-around good guy Jonathan Tsay is part of the Feature Performance on July 24 for Basically Beethoven Festival 2016. In between practices, rehearsals, and performances, Dr. Tsay answered our “Now Hear This” questionnaire for our audience. What is your favorite piece you’re performing on the July 24 program, and why? This is a tough one, because somehow it implies I don’t like the other pieces on the concert for some reason. We’re getting a chance to play Beethoven’s Piano Trio in C minor for the first time, which is something I’ve wanted to play for years, and I have a soft spot for tango nuevo, a musical movement that José Bragato was an integral part of, but I have to say that Paul Schoenfield’s Cafe Music, with its wild swings between genres from 20th century classical to ragtime to dixieland jazz and its overall manic energy, takes the cake here. What do you love about chamber music? How is it different from playing solo? In a symphony? I love the fact that chamber music allows for the freest exchange of ideas between colleagues. Performing solo is exhilarating, but it can get lonely; in a symphony, you are very often completely at the service of the baton out of necessity. When playing chamber music, you slip between the roles of musical leader and supporter constantly, which is a challenge but ultimately the most rewarding experience musically. How old were you when you started playing piano? Why did you choose piano? I started playing the piano when I was about 5 ½ years old. I had two older sisters that played the piano, so like many younger siblings it became a rite of passage, a thing where I was constantly asking “When is it going to be my turn?” I also played the violin and viola for several years, but when I started playing music with my friends, I quickly realized that my place was behind the keyboard. What type of music did you listen to as a kid? Have you always listened to classical music? Being a second generation Taiwanese-American and the youngest of three siblings, I was exposed to a pretty crazy range of music. Of course, my parents had classical music cassette tapes filled with Mozart, Beethoven, and the like. When I was in kindergarten, I apparently memorized and belted out the lyrics to Dolly Parton’s “Working Girl” in the car regularly (which, now that I’m re-listening to it, I probably only understood the chorus). I borrowed (probably without permission) my sisters’ Mariah Carey and Ace of Base tapes, and the first two CDs I ever owned were Eric Clapton’s Unplugged album and Leonard Bernstein’s recording of Holst’s The Planets with the New York Philharmonic. Who’s your favorite composer to listen to? To play? I tend to go through phases, listening obsessively for a few weeks to “clean” composers like Bach, Mozart, even some Brahms, then changing gears and listening to more “complex” composers like Prokofiev, Debussy, and some more contemporary 20th-century/modern masters – then back again. To me, I like playing Haydn because it makes me feel clever, and Liszt because it’s often quite intuitive and comfortable for my body: it plays musically like it feels physically, which is more rare than one would think. What’s your favorite sound (musical or non-musical)? A well-placed slide between two notes. Unfortunately, it’s an effect that’s possible on every instrument and voice except the piano. Once you leave this world and reach the pearly gates, what celestial concert are you looking forward to? To me, one version of a good afterlife would be one giant music-reading party/concert, where I’d reconnect with all the people I met throughout my life, musicians or not, to play and sing all varieties and styles of music. And to those that were more shy or less confident about their musical prowess, there would be plenty of time to practice. Of course, the occasional cameo by Chopin on the piano and Paganini on the violin would be kinda cool, too. Basically Beethoven Festival 2016: Let’s Dance! 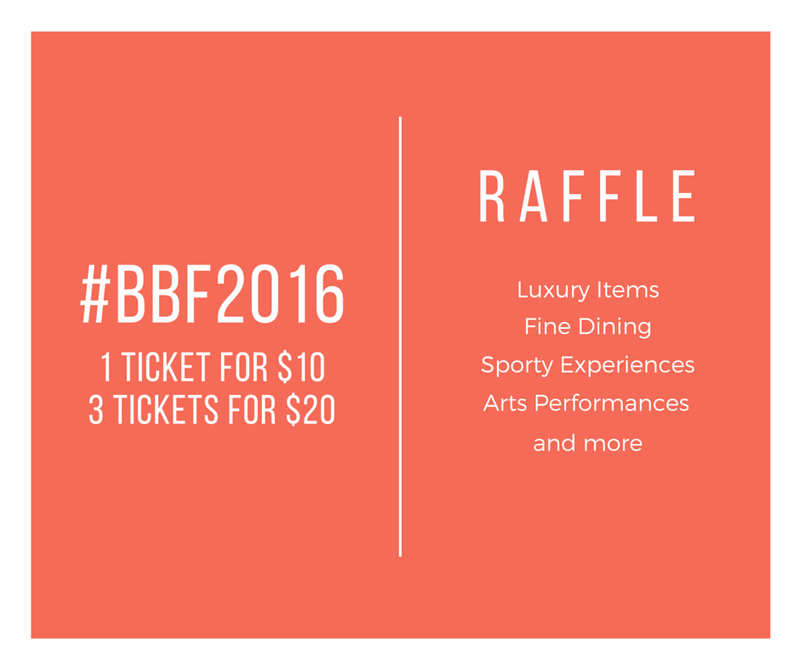 Get Exotic with Basically Beethoven Festival 2016: Let’s Dance! The July 24 afternoon Featured Performance presents Ensemble75: Kyeungseu Na, cello; Sercan Danis, violin; and Jonathan Tsay, piano. The members from the new chamber music group from Dallas will play tango for cello and piano: Graciela y Buenos Aires by José Bragato, Hungarian Dance no. 14 in F-Minor by Johannes Brahms, Pavane in F-sharp Minor, op. 50 by Gabriel Faure, Piano trio in C-Minor, op.1 no.3 by Ludwig van Beethoven, and “Finale” from Café Music for piano trio by Paul Schoenfield. Concerts are held on Sunday afternoons in July at the Dallas City Performance Hall in the Dallas Arts District (2520 Flora Street, Dallas 75201). Every program begins with a Rising Star Recital at 2:30 p.m. and a Feature Performance at 3 p.m. Doors open at 2 p.m. Rising Star Recitals present local, gifted young musicians; Feature Performances showcase professional musicians from the area. All concerts are FREE TO THE PUBLIC. Paid parking is available in surface lots and garages in the Dallas Arts District. Overview – July 24, Let’s Dance! Rising Star Recital: Jay and Varsha Appaji with Mark Landson will demonstrate exotic, westernized infusions of traditional raga style music. Feature Performance: Ensemble75 members will perform works from Bragato, Brahms, Faure, Beethoven, and Schoenfield. For more information call 214-520-2219. 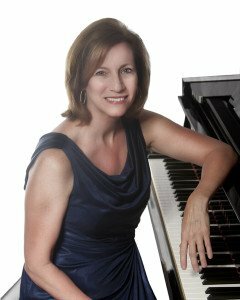 Dr. Catharine Lysinger teaches applied studio piano at SMU and she directs the teaching lab for graduate students in piano pedagogy. On Sunday, July 17, Dr. Lysinger will join Dr. Alex McDonald and Andrey Ponochevny on stage for an afternoon of piano music. What is your favorite piece that you are performing on the July 17 program, and why? My favorite piece on the program is definitely the Stravinsky. Alex McDonald has created a very effective arrangement for six hands on two pianos and we have had great fun learning this music. We performed it this week at SMU and are looking forward to performing again on Sunday. What do you love about chamber music? How is it different from playing in a symphony? Performing chamber music is a very inspiring environment because we can collaborate with friends who are like-minded musicians. The small number of collaborators allows us to interact in a creative and flexible way. I also love performing with a symphony orchestra. While this experience is certainly also collaborative, there’s a certain aspect of interpretation that is slightly less flexible due to the larger numbers of people involved. There also tends to be less time to rehearse. In preparation for this concert with Alex and Andrey, we have had time together that allows us to work hard and also have fun in the process. How old were you when you started playing piano? Why did you choose piano? I started playing piano at age 7 or 8. I was drawn to it because my father is a jazz pianist (as an avocation) and we had a grand piano in our home. I always feel very fortunate that when I told my parents I wanted to take lessons, there was an excellent teacher not very far from our home. Colleen Brashear is still an active member of Dallas Music Teachers Association. What type of music did you listen to as a kid? Have you always listened to classical music? As a child, probably due to my parents’ tastes in music, I have always loved classical music. We used to go hear the Dallas symphony and I never missed going to Fort Worth to listen to the Cliburn competition. I must admit to also loving ’80s pop music! What types of music do you like to share with your child/children? What type of music do they like? I have two children, Abby, 15, and Zach, 9. Both are active musicians. Abby has long been a member of the children’s choruses of the Dallas Opera and the Children’s Chorus of Greater Dallas. She is a member of her dad’s (Michael Lysinger) choral program at J.J. Pearce High School and was thrilled to be a part of the Texas all-state choir this year. We have been very fortunate raising them in Dallas with its exposure to great artists and deep musical experiences. 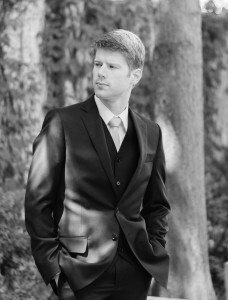 Zach is more inclined toward science, math, and technology, but he also sings with the Dallas Opera and studies piano with one of my former graduate students. You teach at SMU. What, if anything, have you picked up from being around college students? Constant engagement with these bright, creative young people is a constant stimulation. Every year, I feel that I learn as much from them as I hope they might learn from me. Our graduate students come from all over the globe and have so many ideas and convictions about music, piano, and teaching. It’s such a wonderful environment – I feel very fortunate to be a part of it. Who’s your favorite composer to listen to? To play? Choosing a favorite composer feels like choosing a favorite child. But, I tend to play music of Scarlatti, Haydn, Chopin, and Prokofiev perhaps with more frequency than other great composers. One of my recent favorite composers is Australian composer Carl Vine. I have performed his bagatelles and have taught the Sonata. Incredible music. I have also thoroughly enjoyed collaborating on occasion with Voices of Change and have been involved with performances of new music of living composers. I’ve also thoroughly enjoyed collaboration with my colleague Jack Delaney, director of the Meadows Wind Ensemble at SMU. Together, we have performed concerti by Stravinsky, Olivier Messiaen, and most recently Gershwin’s Rhapsody in Blue. Once you leave this world and reach the pearly gates, what celestial concert are you looking forward to? Ha! It’s rather presumptuous of you to assume I will reach the pearly gates! However, if I am so lucky, I am sure that all I’ll ever need or want to hear is Bach’s Mass in B Minor and/or choral music of the Renaissance period and anything of the British or French choral traditions. I suppose music written for my own instrument would be fine – but I often think that we pianists are just frustrated singers. Arts District: Dapper and Distinguished can sum up this raffle package, which includes a gift certificate to Boardroom Salon, a public walking tour for 4 from Dallas Center for Architecture, 4 special exhibit passes for the Dallas Museum of Art, 2 tickets to a Dallas Symphony Orchestra performance, and a 1-year Giacometti Circle membership to Nasher Sculpture Center. Lakewood: Head east of downtown to partake in luxurious products, delicious dinners, and physical fun! Beautycounter representative Michele Sabin has put together a wonderful set of products of the luxury line, Lakewood Smokehouse, Rapscallion Neighborhood Bistro, and Unleavened Fresh Kitchen have contributed a $50 gift card to each of their lauded establishments, and PRO Martial Arts has donated a 1-month scholarship for ages 3 ½ – 12 to the east Dallas studio. North Dallas: This raffle package takes R&R to a new level! Whoever wins this offering walks away with a $50 gift card to Central Market, a round of golf for 4 and lunch for 4 at Prestonwood Country Club, a 1-month pass for unlimited classes at Pure Barre-Addison, and a $30 gift card to Zoes Kitchen along with a bottle of their signature salad dressing to enjoy the flavor at home. Oak Cliff: Explore what the Bishop Arts district and more areas have to offer with this offering: admission and food passes to Alamo Drafthouse, 4 tickets to the PlayPride Festival from Bishop Arts Theatre Center, a $50 gift card from Boulevardier, 3 boxes of chocolate bark from Dude, Sweet Chocolate, dinner for 4 to Lockhart Smokehouse, and a $25 gift card to Nova gastropub. Passport to Dallas: See all our fair city has to offer with this package, made for YOU. East Dallas is represented by 10 free classes to Crowbar Cardio, and a 1-month, full-time membership to The Mix: Coworking & Creative Space. Lake Highlands Acupuncture and Herbs has donated a 30-minute cupping session to ease your aches and pains. Finally, Turtle Creek Chorale contributed 2 memberships for their 2016-2017 season, along with 5 CDs. The drawing will be held August 1, after the Festival concludes. Winners will be contacted by the FACP office. Items may be subject to restrictions. 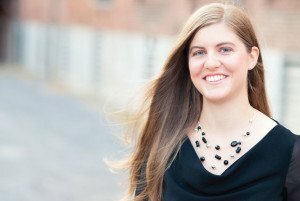 Molly Norcross, French horn for the Fort Worth Symphony Orchestra, takes part in our Westerly Winds program on Sunday, July 10 – the first concert of the 36th annual Basically Beethoven Festival. She joins Sarah Tran, flute; Stephen Ahearn, clarinet; Paul Lueders, oboe; Peter Unterstein, bassoon; and John Owings, piano; in works by Beethoven, Francaix, and Ligeti. What is your favorite piece you’re performing on the July 10 program, and why? I am really enjoying the Francaix “L’heure du berger.” This is the first time I’ve learned it, and I always like to learn new music. I think you’ll find it very entertaining, and a bit silly as well. What do you love about chamber music? How is it different from playing in a symphony? Chamber music is such a wonderful, intimate setting. The musicians can see one another’s faces, so compared to sitting in a large orchestra, it is a very different way of relating within the ensemble, and relating from the ensemble to the audience. We get to set the tone and pace for our rehearsals, and we decide what needs the most work and how to address it, rather than having a conductor make those decisions for a larger group. I feel like the audience can get a feel for each player’s musical personality in the smaller setting, which can be very intriguing and rewarding. How old were you when you started playing French horn? Why did you choose that instrument? I started playing when I was about 9 years old, in fourth grade. Apparently, I actually chose the trumpet, but when I came home from school that afternoon I cried and said I really wanted to play the horn. For the record, I remember none of this. I was drawn to the horn for two reasons: my Dad grew up playing the horn, and from hearing great horn lines in movie soundtracks (thank you, John Williams!). What type of music did you listen to as a kid? Have you always listened to classical music? I did grow up listening to mostly classical music. I went to orchestra concerts even before I was born! During my childhood my Dad would always play a recording of classical music during dinner and my siblings and I would guess the composer from the three options he would provide. You play for the Fort Worth Symphony Orchestra, but you’ve been traveling to Dallas for BBF rehearsals. How do you pass the time when you’re waiting in D-FW traffic? I am typically a big KERA listener, but I’ve been lucky that my friend Paul Lueders, who is the oboe player today, was staying with me during the rehearsal process. Paul and I worked together in the San Antonio Symphony for a year, went to the Tanglewood Music Center together one summer, and even overlapped at New England Conservatory for a year. We’ve been able to pass the time in the car by catching up, and planning where to eat! We actually did come quite early a couple of times so that we could get a taste of some Dallas restaurants and avoid the worst of the traffic. Who’s your favorite composer to listen to? To play? I don’t know that I have an ultimate favorite composer for listening or performing, but right now, I think my favorite composer to listen to is Haydn and my favorite to play is Benjamin Britten. Haydn is always delightful and sneaks in little surprises. I’ve just started working on Britten’s “Serenade for Tenor, Horn, and Strings,” which is a really cool piece. I’ll actually be performing it next season with the Fort Worth Symphony in November. You should come check it out! What’s your favorite sound (musical or non-musical)? Least favorite? My favorite sound is in the non-musical realm: thunder! Thunderstorms are one of my most favorite things. My least favorite sound is also nature related: the high-pitched whining of a mosquito right next to my ear. You always know they’re up to no good! Once you leave this world and reach the pearly gates, what celestial concert are you looking forward to? I would love to see Glenn Gould’s heavenly rendition of J.S. Bach’s “Goldberg Variations,” perhaps with Bach himself standing nearby to give some pointers, or improvise a new variation! Carnell Simmons, a flute performance major and arts administration minor at TCU, joins FACP’s staff this summer as Assistant Festival Director for the 2016 Basically Beethoven Festival. The internship is provided by the 2016 ExxonMobil Community Summer Jobs Program. 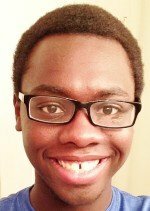 Carnell, an incoming senior, has staged his own flute conference in the Brazos Valley area and plans to start a non-profit organization with the goal of uplifting the youth through arts, leadership, and education. Welcome, Carnell! What is your favorite piece being performed during the 2016 Basically Beethoven Festival, and why? The Festival is filled with an amazing amount of exciting works, but I would have to say my favorite is Ligeti’s “Six Bagatelles” [on the July 10 program]. When I was 12, I heard this piece performed by a quintet from the Houston Symphony. I was delighted by their mastery that day, and every time I hear the work I have fond memories of that period in my life where I was still trying to figure things out musically. What do you love about chamber music? Have you played it before? How is it different from playing in a symphony? Chamber music is an invitation to express a story through conversation. You take different voices and colors from the orchestra and meld them together. In my experience, I have found that the sea of colors that a symphony supplies separates into a delicate pointillism that chamber music brings. How old were you when you started playing flute? Why did you choose that instrument? I started playing flute in the 5th grade. I actually despised playing the flute because I thought it was a “girl’s instrument” and at that age I didn’t want anything to do with it. But, between 7th and 8th grade band I heard Sir James Galway play the flute and I felt so empowered hearing such a majestic sound coming from a male flute player. It became my dream at that age to be like him. Even now, I continue to love the flute more and more. I listen to everything under the sun. I always find it funny that one moment my iPod will go from Josh Turner’s “Time is Love” to “Welcome to the Renaissance” from the Broadway show Something Rotten to Mozart’s Concerto in G Major. Who’s your favorite composer to listen to? To play? When listening or playing music I can’t say that I have a favorite composer because each composition can express a completely different mood or tell a completely different story. I always have a strong connection with each piece that I am playing, so my favorite composers and pieces to play are those that I’m working on at the moment. What’s your favorite sound (musical or non-musical)? Least favorite? My favorite sound is silence. The silence that you hear when you are walk down an empty street or jogging before the sun breaks above the horizon. My least favorite sound is the scraping of Styrofoam which literally makes me grit my teeth and my skin crawls. Once you leave this world and reach the pearly gates, what celestial concert are you looking forward to? I would love to hear a concert performed by Paganini. His virtuosity intrigues me and I love every opportunity that I get to play his 24 caprices on flute.